Envisioning the future of energy production is, like many areas of prediction, very often overtaken by facts on the ground. There was a time, c. 50 years ago, when the future seemed to hinge on the construction of colossal power plants reliant on nuclear or fossil fuels. The next wave of optimism and hype hung on the much anticipated but, to date, underperforming field of hydrogen technologies. These are still being invested in and developed, and are a particular focus for some car manufacturers, however, scientific consensus on climate change in developed economies has changed considerably in the meantime, causing planners to effectively abandon their former models. Centralized power production using fossil fuels or nuclear technology in largescale plants is no longer a vision of the future that climate change scientists, regulators and growing majorities of voters buy into. As the future of power production is moving away from centralized models, it is turning instead toward distributed energy resources and even much smaller individual energy producers. Decentralized or distributed generation typically uses renewable energy sources or cogeneration to create cleaner, cheaper power for small clusters of users. As these smaller clusters have grown exponentially, regulatory change and technological advancement is playing a catch-up game in respect of linking up these independent sources into main grids. A fully synchronized future can only be realized through sustained development of innovate power generation equipment and continued innovation in digital IIoT solutions for the industry. In essence, a combination of IIoT digitalization and engineering advances will underpin the so-called Internet of Energy coming into being. It may be some time before there is large scale ‘independent’ Internet of Energy. In the meantime, however, the transformation of energy from commodity to a service is already underway. Energy production today can begin with something as small as a mini-scale solar panel on a single barn roof. That said, the growth in mid-scale producers – energy sources supplying the grid with considerable amounts of power from distributed generation networks at peak times – is where the real growth and probable opportunity lies. Small, medium or large, however, the service model is essentially the same: decentralized power generators can now supply grids with electricity. The markets are gradually opening up to both commercial ventures and smaller private producers, and to groups whose own power generation is creating an excess they themselves cannot use. Shifts in regulatory and service model thinking have encouraged more sizeable peak-time producers onto the energy production markets. They typically link up their own power generation sources or connect conglomerates of smaller producers to feed the grid when energy prices rise as peak times. This market development was made possible by the advent of creative digital IIoT solutions and the development of large-scale power storage networks. These allow for replenishing of energy stores at off peak times (and at off-peak prices) and so ensure a reliable supply at times of greater demand. One of the latest and most lucrative application fields for IIoT solutions is the booming decentralized power generation and power storage market. Peak power demand systems generate and store power at off-peak times and then sell to the grid when it requires topping up at peak demand times. The power is usually collected from renewable sources or low carbon emitters such as natural gas turbines. One of the largest peak power demand generation companies in the UK has a network of over 40 individual power stations and 400-plus engines in service. This gives them an impressive 1-plus GW portfolio of decentralized thermal power generation and battery storage assets (these can power around 700,000 homes). These systems are not just unique to mid-sized players. Thanks to IIoT advances, micro power generators such as private homes with solar panels or cogeneration heat plants in apartment complexes can also make power available to the grid on demand. Efficient power storage is fundamental for solar energy producers as production is obviously limited to certain periods of the day and can fluctuate according to seasonal conditions. The task for IIoT solutions is to visualize these geographically atomized generators and storage points on aggregate levels and allow the power to flow into the grid in a steady and consistent manner. The other key application for IIoT solutions in this field is the area of predictive maintenance and monitoring systems, which are necessary to connect up a dispersed network of power storage units into the grid. The benefits of decentralized power systems controlled by IIoT technologies for industrial manufacturers and the opportunities it provides to innovators within the industry cannot be overstated. For a start, cleaner power means heavy industry can better comply with government regulations on emissions. Retrofitting machinery and processes at industrial plants will help detect where power is unnecessarily being lost and where energy saving plans can be optimized. Moreover, easy to use monitoring, maintenance, and monetization systems for power generators make it more attractive for industrial manufacturers to become part of the grid. 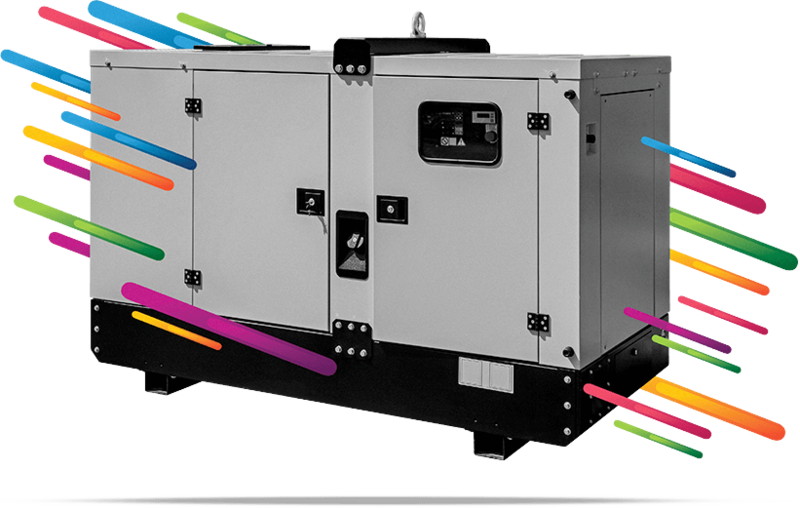 This can be either as locations for power storage, as generators themselves by way of cogeneration, or simply as locations for solar parks or large-scale heat pumps. Unlike other areas of IIoT application, energy production and storage are not just opportunities for investment. Energy production and regulation are closely tied into the future of our planet. IIoT innovations and integration solutions are essential if the disparate renewable and clean energy sources are to play the kind of role essential in impacting climate change in a positive way. An Internet of Energy will require centralized control over myriad decentralized systems and even individual providers using discrete technologies and power generation or storage sources. The technological challenges may be huge, but they are not insurmountable, as the success of engineering and IIoT experts like relayr are proving time and again. Many of the fundamental hardware technologies for the future are in fact already in place. Middleware data processing platforms and artificial intelligence software are also currently enabling discrete providers to enhance and expand their exiting capabilities in an increasingly joined-up and ambitious industry. Relayr’s digitalization provided their partner with visual insights into their own manufacturing processes and the maintenance needs (and flaws) of their products. This led to considerable savings in working hours and wasted materials. They can now manage software updates on all products from a central point, meaning maintenance is only carried out where needed.